I've been struggling with this for a while. Updated all drivers I could, no luck. 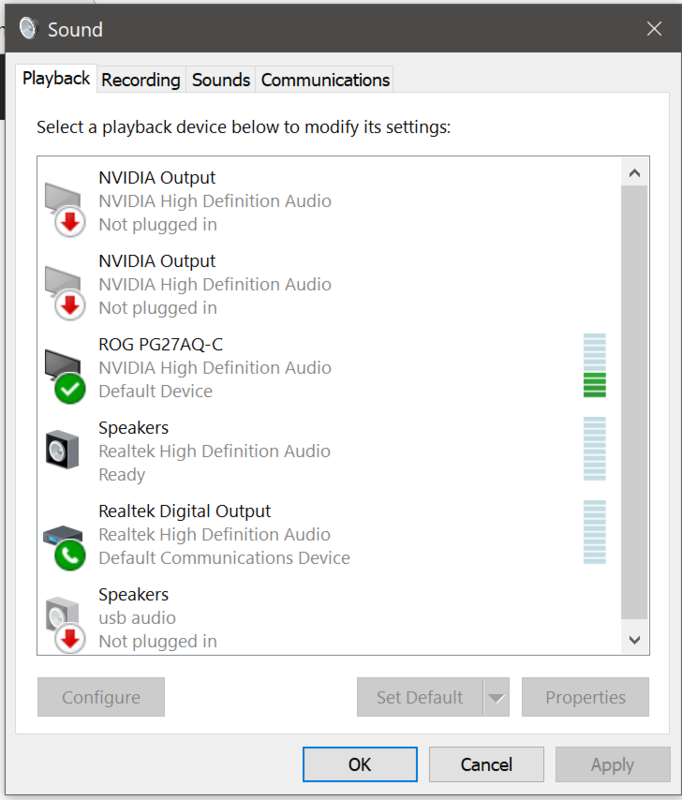 Headphones connect and pair successfully, appear in manager, show all services correctly, but don't appear as a playback device. Any help would be appreciated. If wired, plug in the headphones. If Bluetooth, pair and ensure they are visible in Bluetooth Neighborhood. Right-click the default speakers and select Show disabled devices and Show disconnected devices. If your headphones now appear, right-click them and select Enable. If your headphones are still unusable, then the problem is with your driver. It may be incapable of functioning as a playback device. Search for the right software, or contact the Support of the manufacturer. If nothing works, change headphones. I encountered the same problem with Win 10 and my dell computer/LG Bluetooth speaker. I accidentally found the way to resolve the problem by referring to the answer from the previous contributor Dlight202. Right click to show properties, under Services, check "audio sink", click "apply" then the speaker works. I'm not sure if it works for all speakers but it works for mine. 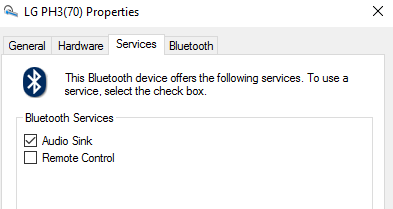 Have you tried uninstalling and re-installing your Bluetooth adapter? Hold the power button while charging until you see the LED flash three times. Unplug and power the headphones. Solution one : try to install Bluetooth Suite Win 7 & from Atheros. It can be searched and downloaded online for win 7 and lower. Solution two : buy a bluetooth 4.0 dongle and connect to your headset. There is a reason for it but I am not a real tech. Anyways hope people like me not to get frustrated anymore. I recently had a similar issue with my windows 10 laptop. 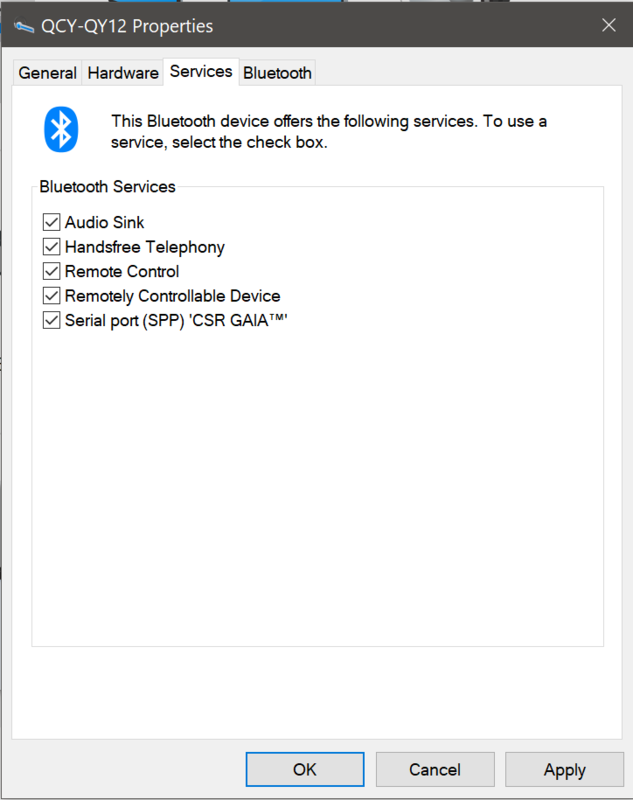 My bluetooth headset would connect, but then would not appear as a playback device in my sound manager. The bluetooth device used a Qualcomm Atheros driver. I tried uninstalling, using old drivers, the latest dell supported driver, third party atheros drivers, but nothing was working. The headset would connect okay, but then afterwards during enumeration, it didn't seem to enumerate correctly. What I found is that when I looked in devices and printers and then at the properties for my headset, and hardware tab, there was no sound type device functions associated. There were however, 3 virtual bluetooth types, that when I right clicked to properties, were associated with the atheros driver. When I uninstalled the bluetooth driver, the generic microsoft bluetooth driver would associate, but the same virtual bluetooth types were still showing up as device functions after enumerating, and they were still associated with the atheros driver. I had to remove the atheros drivers inf files from windows 10 driverstore by running the pnputil from command line. After this, when using the generic windows bluetooth driver the device re-enumerated and then the correct hardware device functions became available. Not the answer you're looking for? Browse other questions tagged windows-10 audio bluetooth speakers headphones or ask your own question.